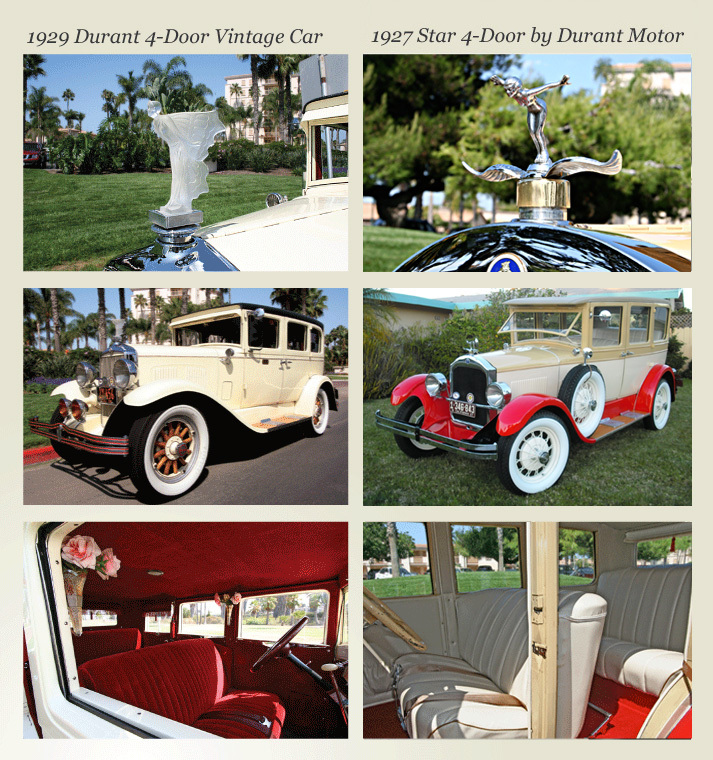 This rare and beautiful San Diego classic limo car has been completely restored to reflect the glory of the Automobile Age in the Roaring 20’s! It is a Luxurious Cream Color and features original Wood Spoke Wheels, Burgundy Velvet plush interior with Fringed Shades that pull down and Antique Bud Vases with Silk Flowers and antique Lead Crystal Sculpture on radiator cap! This antique vintage car has also had a complete restoration at a cost of over $70,000! It features a beautiful Tri-Color Scheme in Deep Cream, Light Cream and bright Red Fenders! The interior is Comfortable ivory, imitation leather. Both antique classic Cars feature “Oogle” Horns, Sirens and Bells for you to operate! This was the last factory built Cadillac Limo. It was special order only, built to suit. It features accent striping, Opera lamps, padded roof, chrome wire-wheels, with white wall tires, back seat climate control A/C. It holds 6 passengers plus driver in luxurious burgundy velvet upholstery! This vintage “Muscle Car” has a 302 V8, 200 Horsepower engine with a nice rumble via glass pac mufflers, with power brakes and steering. This car features a rear seat centerfold down “Opera” armrest found only in LTD’s. The upholstery is jet black and has been redone in original period style with an elaborate embroidering design on the back of each seating area. 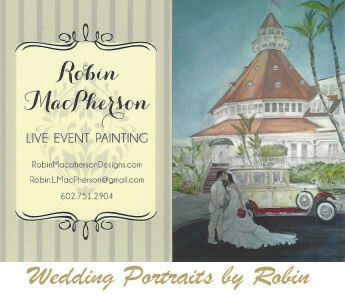 The paint is a beautiful frosted turquoise with white padded roof! 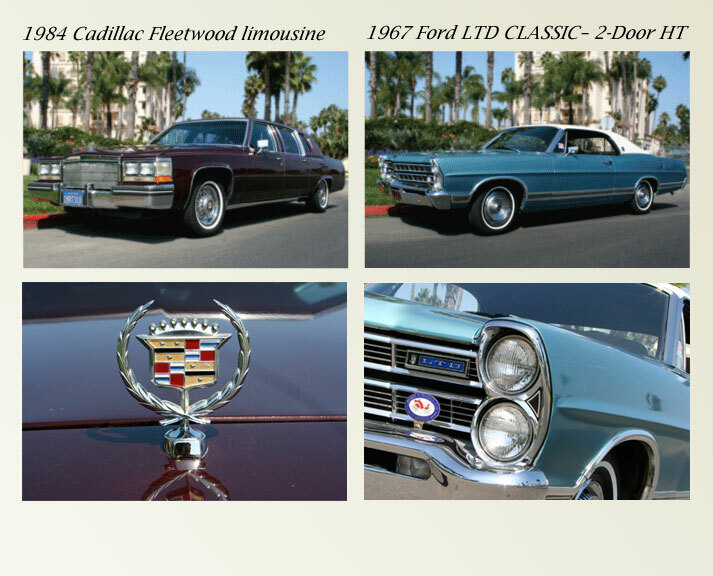 Our family has maintained this vintage car with pride for over 40 years!